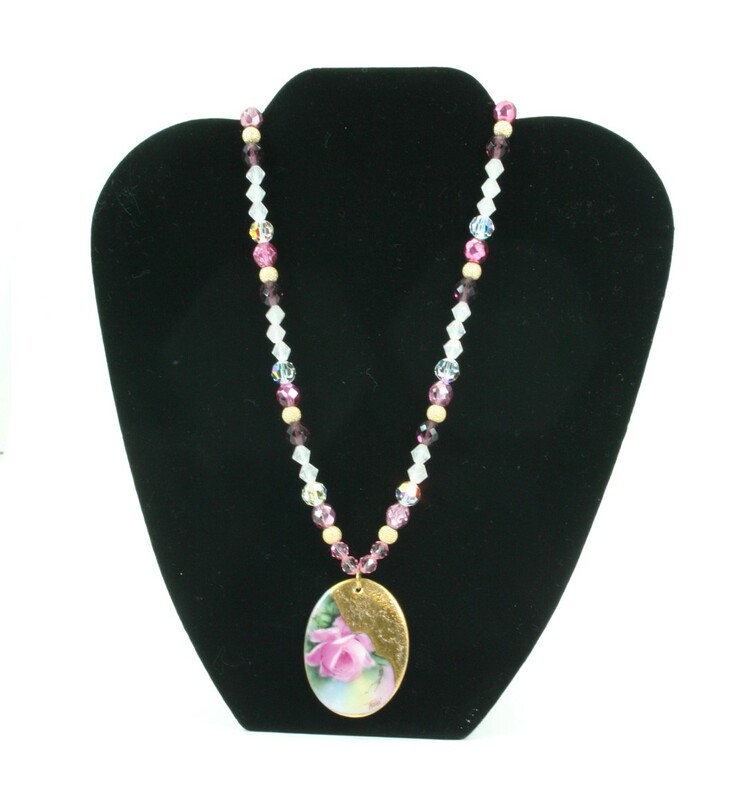 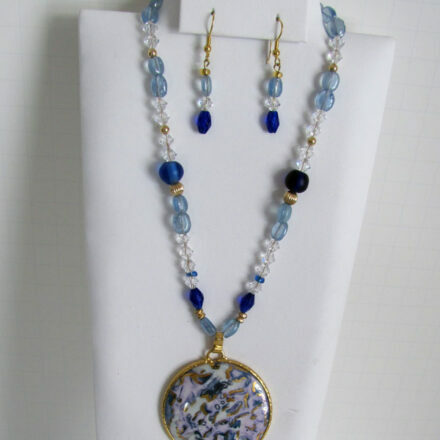 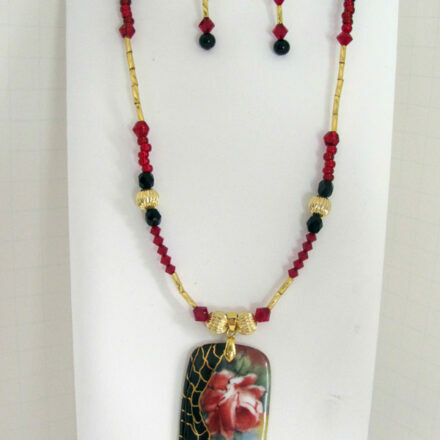 18″ necklace with porcelain disc, rose tea rose and texture in gold with Swarovski Crystals and Czech glass fired beads, matching earriings. 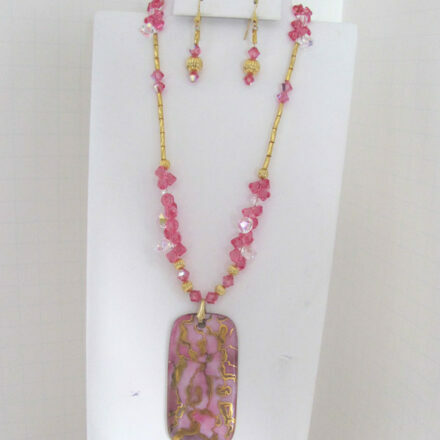 Necklace & matching earring set, Rose/Mauve tones, 18″, beautiful Swaroski crystals, Czech glass fired beads & metal sparkling gold beads, porcelain disc, painted by the artist and fired at 1500 degrees. 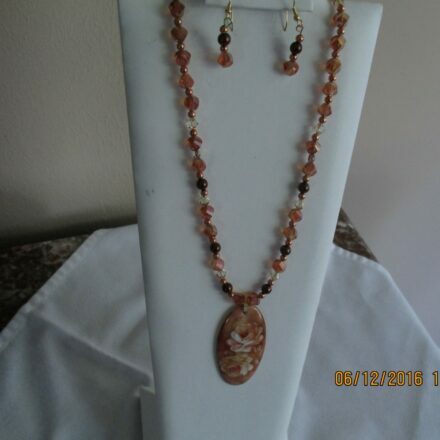 Accented with gold.